Master the basics required to increase strength and build lean muscle with the M&F Starter Guide by Muscle & Fitness magazine. Whether you’re a beginner or an experienced workout buff looking to get back on track, nearly anyone can benefit from this comprehensive six-week program. 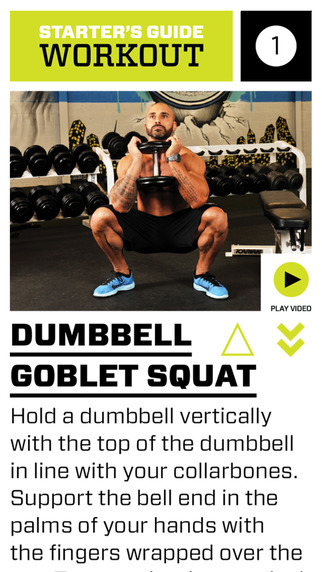 Sponsored by Optimum Nutrition and optimized for iPhone, iPad, and Android, this app provides the most cutting-edge training, nutrition, and supplement information to young people looking to build muscle.